Acne is one of the common skin problems that affect most people at some point in their lives, especially during adolescence. The swollen, tender inflammation known as acne or pimples are caused due to the plugging of the tiny openings meant for the hair follicles commonly known as skin pores. These pores are clogged by the oil glands present in the skin resulting in acne formation. 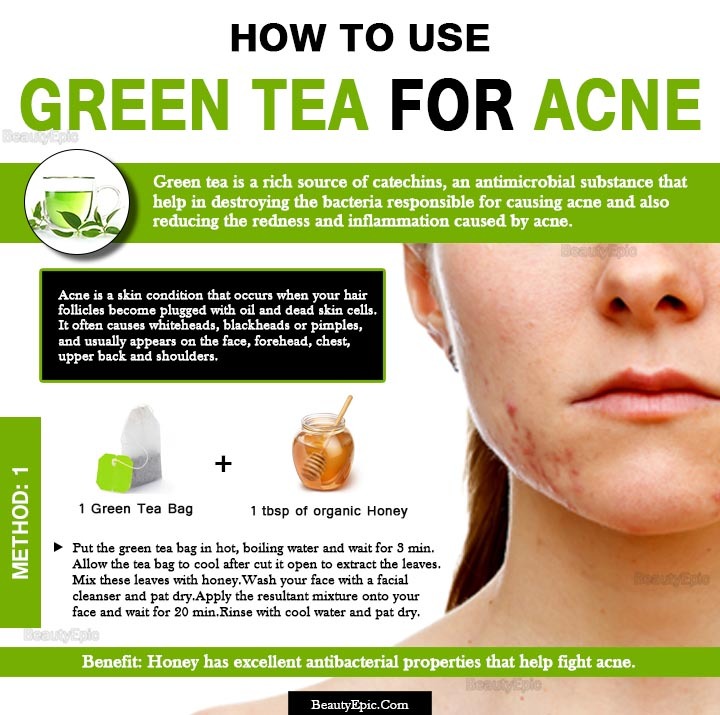 Here we discussed some best ways to use green tea for acne problem. Does Green Tea Work for Acne? 1. Honey and Green Tea for Acne? Green tea is known to provide a wide range of health and skin care benefits, including treatment of acne? Drinking the beverage helps in reducing sebum production and inflammation besides boosting skin immunity. The tea contains natural compounds that are highly effective in treating acne. It is a rich source of catechins, an antimicrobial substance that help in destroying the bacteria responsible for causing acne. Green tea is known for its anti-inflammatory properties, which prove highly effective in reducing the redness and inflammation caused by acne. The tea can also help treat hormonal imbalances, which are a major cause of acne. The high amounts of antioxidants present in green tea help in eliminating free-radicals and keeping the skin healthy and protected. The beverage proves effective in preventing the clogging of pores and refining them to prevent accumulation of acne causing dirt and grease. 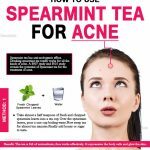 In addition to drinking the tea, people suffering from acne can benefit from the beverage by using it in following ways. The excellent anti-bacterial properties of honey make it one of the best natural elements for acne treatment. Put the green tea bag in hot, boiling water and let it sit for about 3 minutes. Allow the tea bag to cool after removing it from water and then cut it open to extract the leaves. Mix these leaves with a tablespoon of honey. Pat dries your face after washing it with a good cleanser. Now apply the mixture of honey and green tea on your face, leaving it on for around 20 minutes. Pat dry your face after rinsing it with cool or warm water. How it works: The antibacterial properties of honey combine with the anti-inflammatory properties of green tea to reduce the growth of acne. The mask also helps in maintaining the moisture content of the skin and unclogging the skin pores. Repetitions: 3-4 times a week. Best time to Apply: Early in the morning or just before going to bed. Apple cider vinegar is known to be effective in maintaining the pH balance of the skin. It also helps to kill bacteria, dissolve dead skin and cleanse the skin of excess dirt and grime. Brew about ¾ cup of green tea and let it cool completely before mixing it with ¼ cup of apple cider vinegar. Use a facial cleanser to wash your face and pat it dry with a towel. Now dip a cotton swab in the mixture and dab it on your face and leave it to dry. Apply a good quality moisturizer over the dried mixture. Store the remaining mixture in a glass jar and refrigerate for future use. How it works: The apple cider vinegar acts as an astringent and helps to dry out the pimples while also cleansing the skin. At the same time the anti-microbial and anti-inflammatory properties of green tea help to kill the acne causing bacteria to provide effective treatment for this skin issue. Best time to Apply: After removing makeup. 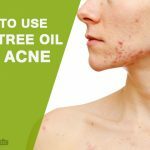 Tea tree oil is extremely potent natural oil that helps in keeping the skin looking healthy and radiant besides treating a wide range of skin problems. Brew a cup of green tea and pour it into a spray bottle after it has cooled down. 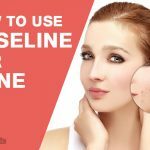 Apply the toner over the entire face with the help of a cotton swab or simply by spraying. Store it in the fridge for future use. How it works: The antimicrobial and antibacterial properties of tea tree oil combine with the anti-inflammatory and anti-oxidant properties green tea to ensure thorough cleansing of the skin. The removal of excessive oil and dirt prevents the clogging of skin pores, which is the main cause of acne. Aloe Vera is a versatile plant known to offer a wide range of health and skin benefits by hydrating and promoting skin elasticity besides providing anti-septic properties. Brew a cup of green tea using both the tea bags and leave it to cool. Add ½ tablespoon of aloe Vera gel to the cooled tea and mix well. Pour the mixture in a spray bottle and refrigerate. How it work: This natural toner effectively removes the accumulated dead skin cells, excess oil and other impurities within the skin pores makes them less prone to inflammation and infection leading to acne. Best time to Apply: Morning and evening. Lemon is often used as a natural skin cleanser and for getting fair and flawless skin. Its juice proves effective in reducing dark spots, skin discoloration and stretch marks. Brew a cup of strong green tea using the two tea bags and leave it to cool. Take the tea in a bowl and add 1/2 teaspoon of lemon juice to it. Add the granulated sugar to the solution and mix all the ingredients well. Leave the mask on to dry for about 15 minutes and then rinse off with cool water. How it works: Green tea acts as a potent antioxidant and natural UV protector. Packed with minerals, it nourishes skin and fights the signs of ageing also. Lemon juice contains lots of vitamin C that boosts collagen development. It also contains citric acid that tightens skin pores and lightens overall skin. Olive oil offers deep skin cleansing benefits besides keeping it looking young and radiant. It also helps is repairing skin damage and protecting it against sun damage. Brew ½ cup green tea and let it to cool before pouring it into a spray bottle. Wash the face with a cleanser and pat it dry with a towel. Spray the green tea onto the face and leave it to dry before rinsing with cool water. Pat dry the face with a towel and then gently massage in some olive oil with clean fingers. Keep massaging for 2 minutes before washing the face with a cleanser and pat it dry. How it work: The anti-bacterial properties of both olive oil and green tea help in eliminating acne-causing bacteria. Moreover, the rich anti-oxidant content of both green tea and olive oil soothe the skin and help in reducing inflammation and swelling. Zinc oxide is known to offer provide UVA protection and helps in masking pores and blemishes on skin caused due to acne. How it work: It will help in reducing the acne and inflammation caused on the skin. It will protect affected skin from UV rays and will make the healing process faster. Tips: Apply the mix on clean face. Water is extremely essential for life and drinking it in enough quantity helps in enhancing the beauty and radiance of the skin in a considerable manner. Rinse the green tea bag with water before tearing it open to extract the tea leaves. Squash the leaves and add water gradually to make a consistent paste. Clean the face and pat it dry before applying the paste all over it using a soft brush. Leave the mask on for 10 minutes before rinsing off with lukewarm water. How it work: The mask proves effective in cleansing and hydrating the skin while also reusing the swelling and redness caused by pimples. Green tea proves extremely effective in eliminating the root cause of acne formation by cleansing the skin pores and reducing excessive oil secretion. 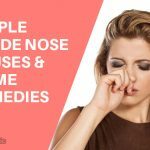 It also helps in reducing the effects of acne in the form of swelling and inflammation leaving behind a smooth and radiant skin that glows with health. In addition to the above mentioned methods, drinking green tea regularly can also prove extremely effective in keeping acne at bay. How to Use Hydrogen Peroxide for Acne?